Nestlings are very young baby birds. When first hatched, many have no feathers at all. 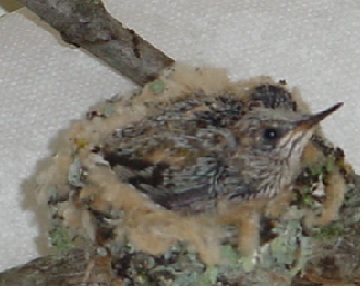 As nestlings get older, they grow body feathers, short wing and tail feathers. Often their feathers are still in little rolled tubes called sheathes. Just like very young human babies, nestlings cannot stand (perch) or feed themselves. They need their parents to take care of them and to keep them warm. If you find a nestling and it is warm and opening its mouth for food, look nearby for its nest. Put it back in its nest as soon as possible. Fledglings are slightly older baby birds. They have feathers all over their bodies and are able to perch, hop and fly short distances. Fledglings have left their nest and are learning to fly and find food. Their parents are still taking care of them and are usually watching from a nearby tree. If you find a fledgling, leave it alone, watch from a distance to be sure the parents are feeding it. If it is in danger from a cat or traffic, place it on a nearby low branch. Ask the cat’s owner to keep the cat inside at least for a few days. 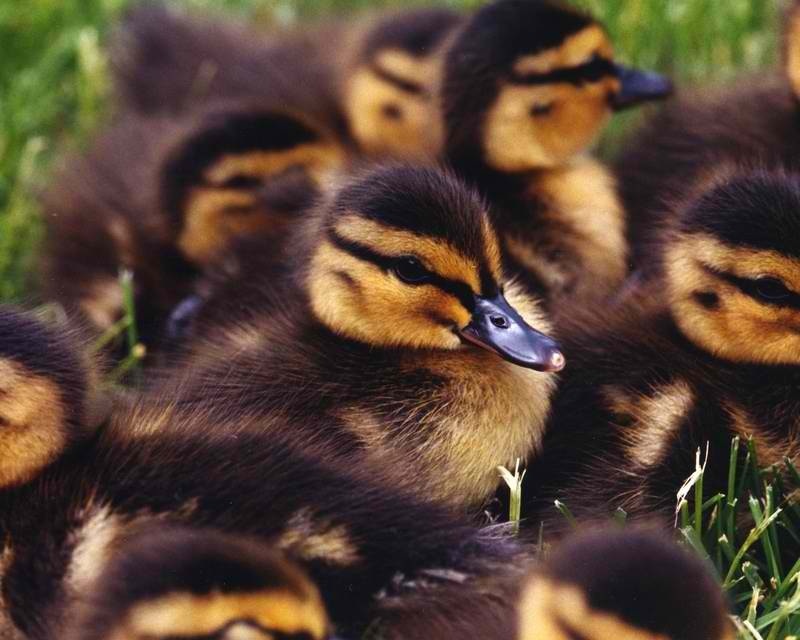 Baby ducks (ducklings) and baby geese (goslings) are different than songbirds because they can walk and feed themselves a few hours after hatching. But their parents still need to care for them and keep them warm. If you find a duckling or gosling, try to find its parents. if you are unsure if the parents are around, call WILDSIDE for help. 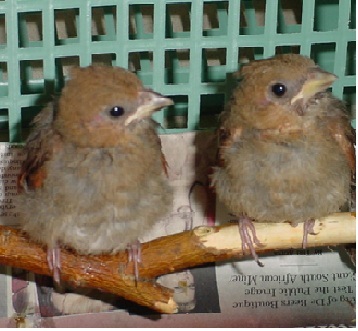 If you find an injured or an orphaned bird, have someone help you carefully catch it. Gently place it in a margarine tub lined with tissue, and place the tub in a box with a lid. Place the box on a heating pad set on low. Poke some small holes in the lid, before putting the bird inside. Do not try to feed it or give it water. Call WILDSIDE Rehabilitation Center as soon as possible at 517-663-6153 to get instructions on where to take the bird for help. Thanks for helping our feathered friends! DO provide supplemental warmth as explained below. 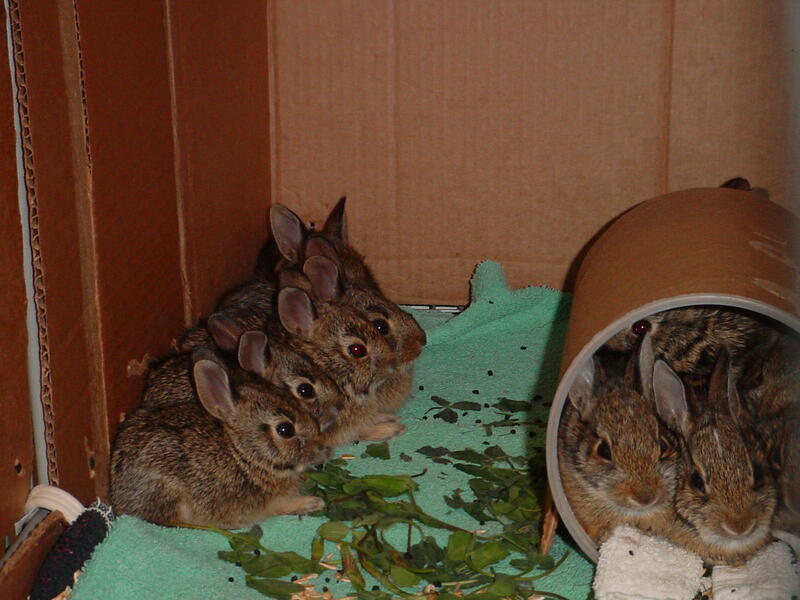 Call a licensed wildlife rehabilitator: WILDSIDE Rehabilitation Center, 517-663-1653, Eaton Rapids. Wild baby mammals cannot digest cow’s milk: Never, ever give a wild baby cow’s milk or human baby formula. Most species cannot digest it and you can cause the animal severe gastric upset resulting in fatal diarrhea and dehydration. This is a painful and messy death which is easily prevented. Think of it this way: we can live a long time without food, but we cannot live for long without water. Temporary emergency care requires only that you provide hydration and warmth. (You MUST talk to a wildlife rehabilitator before beginning rehydration!) Anything needed beyond this point should be done by or only under the direct instruction of a licensed wildlife rehabilitator. 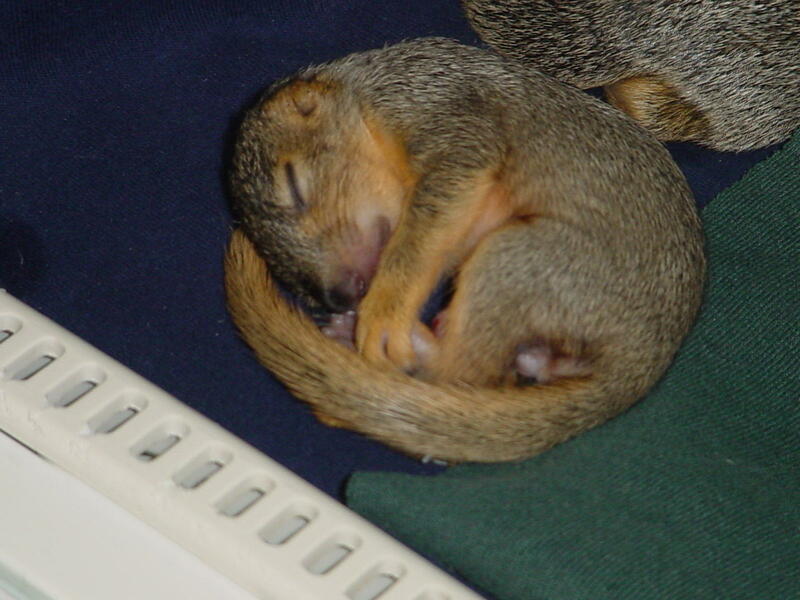 Baby mammals MUST be kept warm with supplemental heat, not just wrapped in a towel or blanket. Most cannot keep themselves warm until they near weaning. To keep babies warm: Use a heating pad on low under the box you have contained the mammal in or pour rice into a sock and tie off the sock. Heat that in the microwave for a minute and a half. You can also put hot water into a soda pop or water bottle in a sock. CHECK often as the water cools quickly. Most mammals’ body temperatures are warmer than ours (about 102 degrees)It is important that the baby be able to move away from the heat source. If you find an injured bird, it is important to know what steps need to be taken in order to provide it with the proper care. During the spring and early summer, many young birds can be found on the ground because they are just learning how to fly. If you are concerned about a young bird, it is usually best to keep an eye on it from a distance. You will probably find the parent bird nearby looking after it. If you find an injured bird, or a young bird that is not being cared for, DO NOT attempt to keep the bird and care for it on your own. 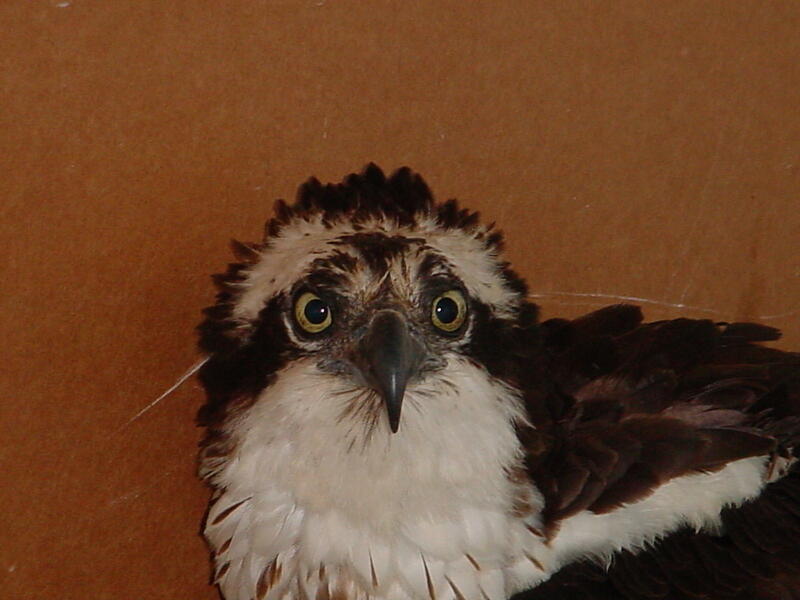 These birds need very specialized care, which must be provided by a licensed rehabilitator. 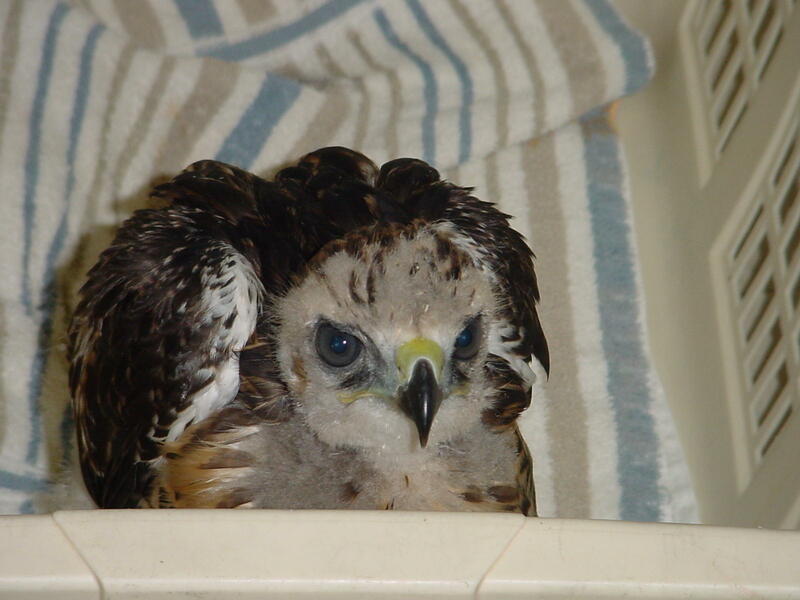 Federal laws protect all raptors, and most other birds. It is illegal to possess any part or whole bird protected by these laws. Injured birds urgently require special care. Delays reduce the chances of recovery. Capturing Procedure: Injured raptors may be dangerous; however, if you follow these instructions, capturing the bird is usually not difficult. If you do not feel comfortable attempting to catch the bird yourself, contact any of the organizations at the bottom of this list. Find something with which to cover the bird. A blanket, towel, or a jacket work well. Approach slowly, from behind if possible. When close enough, carefully place the towel over the bird. Be sure to cover it completely. Remember where the feet are to avoid being grabbed. Carefully gather the cover together. The best approach is to slide your hands down from the back, pinning the wings to the body as you grasp a leg in each hand, just above the ankle. Lift the bird up against your chest, with the feet pointing away. Make sure the bird’s eyes are covered. This helps to keep them calm. Find a cardboard box that will comfortably hold the bird. Put a towel or an old sheet on the bottom. A plastic dog crate will also work. Do not use a wire cage! Place the bird in the box or crate. Be sure to add air holes to the box. Place the box/crate in a warm, dark, and quiet area. The bird should be kept at room temperature, but be careful to avoid overheating. DO NOT FEED THE BIRD! Even if the bird looks hungry, it is very important that you do not feed the bird anything. Injured birds are very stressed and do not have enough energy to digest food. Feeding the bird may add to this stress and possibly kill it. 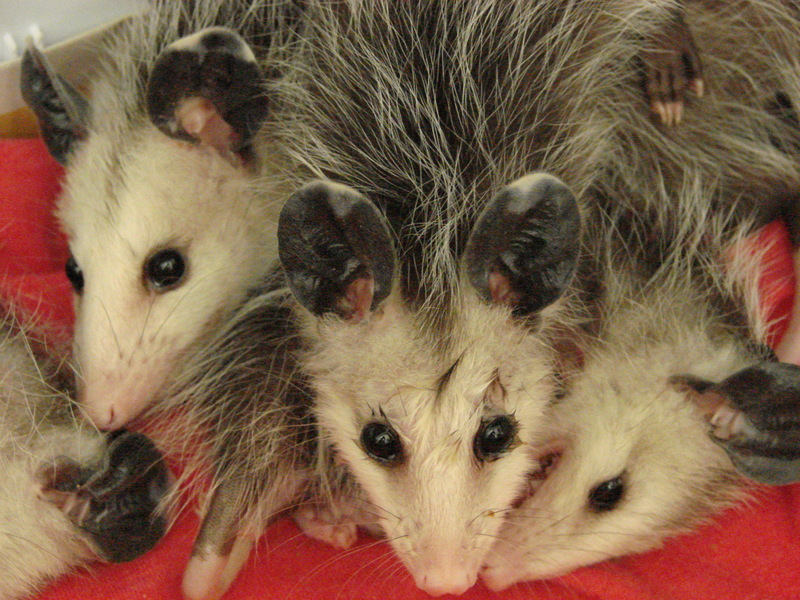 Contact a Wildlife Rehabilitator: WILDSIDE Rehabilitation Center can be reached at 517-663-6153. Please do not bring the bird to WILDSIDE without speaking to someone first.